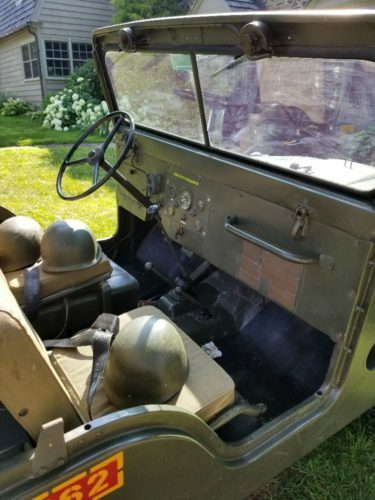 Restored M38A1. 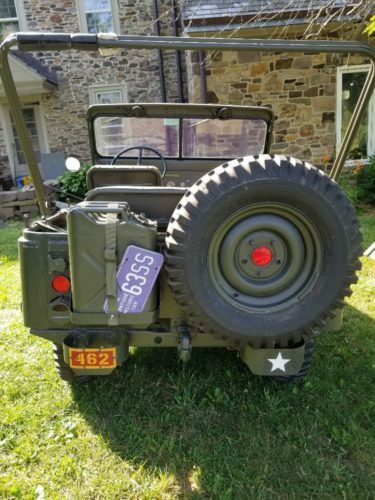 Antique License Plate, drive on road. Over $21,000 paid in parts/service (receipts). 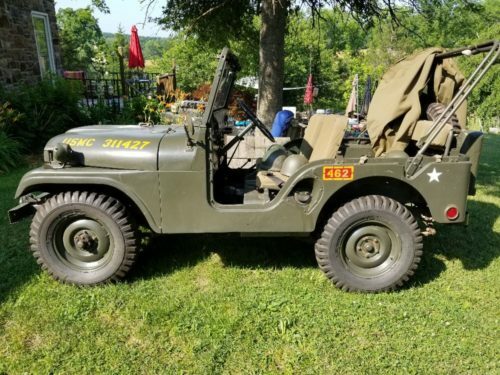 Engine, Carburetor, Trans, Transfer case, Front/Rear Axles rebuilt by “Army Jeep Parts”. Have military top also. 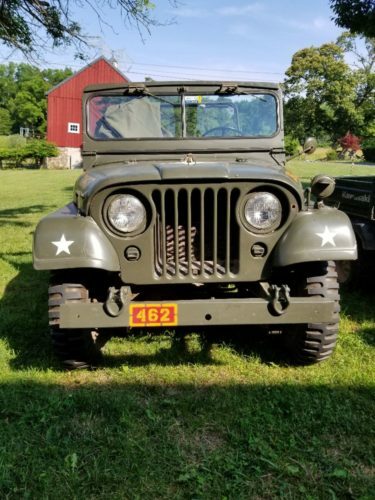 Exhaust manifold & Exhaust, New Brakes, New Windshield, New Tires, 4 WWII Helmets and liners, Seat Belts, New Electrical wiring, New Fuel Tank & lines, New Seat canvas.